White herons, or kōtuku, were exploited for years for their beautiful breeding plumes. By 1940 the number of nests at New Zealand’s only breeding colony – near Ōkārito in south Westland – had fallen to just four. 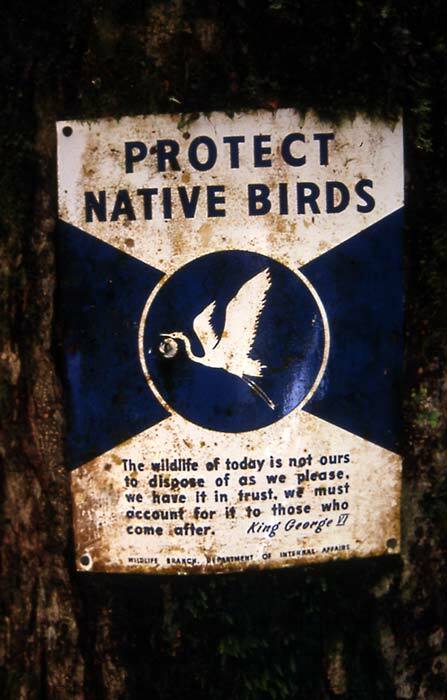 However, after conservation measures the birds made a substantial recovery, and in 1958 they were adopted as the official symbol of the Wildlife Branch of the Department of Internal Affairs. The first version of the symbol was replaced seven years later with this one of a kōtuku in flight. The Wildlife Service has since been incorporated into the Department of Conservation, and the logo is no longer in use.